New Updates: Apps for Android and iOS, rules enhancements and additional icons. With the latest update on PowerApps, v2.0.710+, we have tried to address the top feedback around loading and performance of PowerApps apps. We have also improved the rules experiences, have provided additional icons out of box and made is easier for you to start building new apps. We have re-written our mobile apps for Android and iOS from ground up to be more peformant. 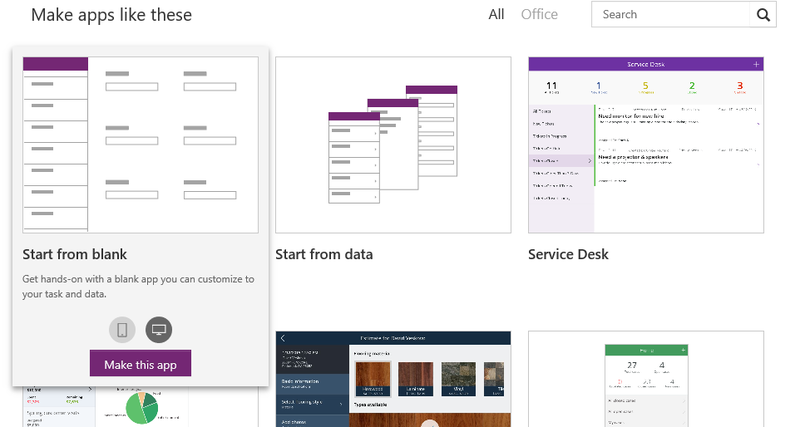 You will experience the familiar PowerApps capabilities in a faster and more stable app now. If you have auto-update enabled on your devices, you don't need to take any action and the apps should update automatically once available. We will be rolling-out the new apps in phases on Apple AppStore and Google Play Store, so you may not see the update immediately. 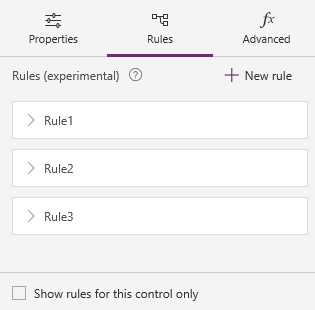 If you now open the rules tab, when no control is selected, you can see a list of all rules for controls on the screen. You can see all rules in the app by clearing the checkbox for "Show rules for this control only". No need to go searching for individual control to find the rule you were looking for. We have added thirty-three commonly used icons to PowerApps Studio, so no need to import them manually and you can start building more beautiful apps. 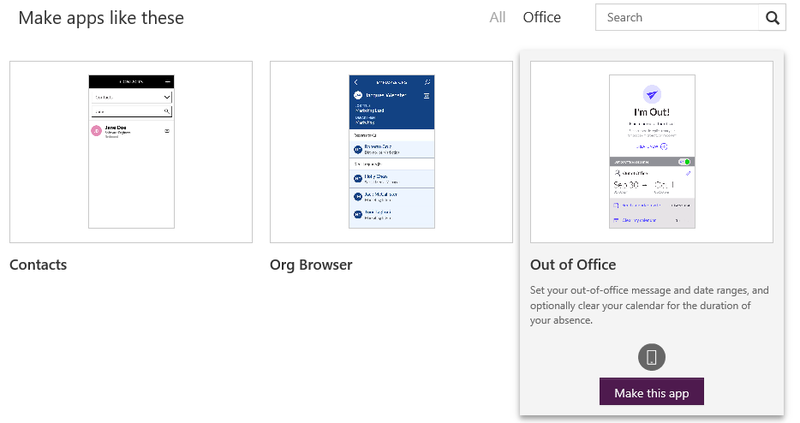 We have also enhanced the PowerApps web experience for you to get started quicker than before. Just click the app type or template you want to build to get started. We have also created a dedicated section for Office 365 templates.